Hi Gals! I am still working quite a bit for a local Auctioneer. I bought this tray recently at the Farm House Auction. The tray was at the bottom of a linen box I purchased. It had a terrible lime green liner beneath the glass. Luckily the back of the tray was easily removed and the old vinyl liner was quickly tossed! After some cleaning the glass looked as good as new. I found a crocheted doily that was just the right size : ) Doesn't it look great ! I am glad I gave it a second look and decided to work with it. That is an amazing transformation Karen ~ great job. Thank-you for visiting, Karen. What a beautiful transformation. Love the tray...so pretty. It's nice to be to salvage something so lovely. The crocheted mat just makes it! 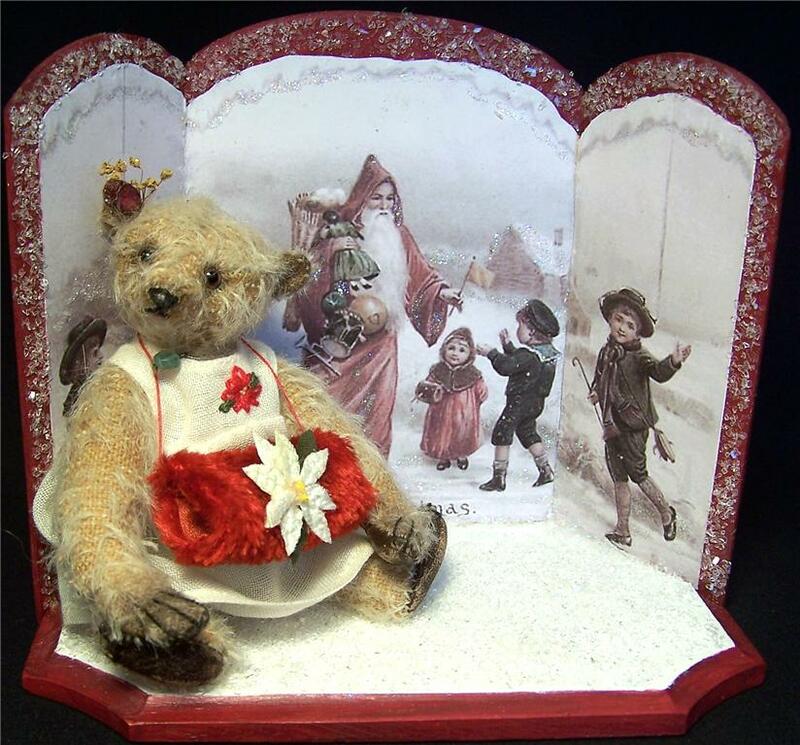 What fun to be at the heart of an auction, you must of had such fun helping and bidding, looks like you got some great stuff too! The weather looks great too, we have been having wonderful fall days here in the Northwest, it was 80' today again! Take care and have a lovely rest of your week! That looks absolutely beautiful! I've been wanting to do this for some time with my tatting. 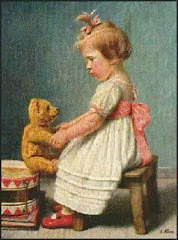 Was that the original cranberry colored lining underneath the lovely crocheted doily or did you put something under it? Hi TattingChic, I was lucky to find one side of the backing already stained. It is from a vintage orange crate that has been sanded a bit on one side and stained a darker color. They knew how to recycle back then. I left it as is. 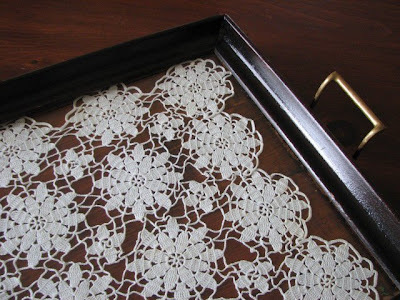 All I had to do was clean the glass and add the doily. A quick fix :). 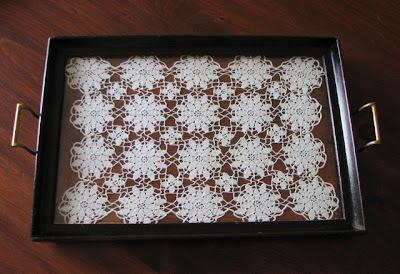 Your tatting would look amazing on a tray! The tray turned out beautiful! I love makeovers like that. Your recent finds are lovely! The little dress is so adorable. Super redo... And I love black and white. Use it all over my house. 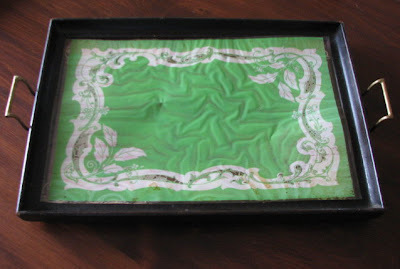 The tray looks fabulous and I love the fact the fabric is covered with glass. Very elegant!